Ken Langone is a co-founder of Home Depot and the founder and chairman of Invemed Associates LLC. He received a B.A. from Bucknell University and an M.B.A. from New York University's Stern School of Business. He serves on the Board of Overseers of the Stern School and on the Board of Trustees of New York University, as well as serving as chairman of the Board of Trustees of New York University Medical Center. In addition, he serves on the boards of St. Patrick's Cathedral, the Ronald McDonald House of NY, the Center for Strategic and International Studies, the Horatio Alger Society Foundation, and the Harlem Children's Zone and its charter school, the Promise Academy. He is also a Knight of Malta and a Knight of St. Gregory. “Insightful and inspirational. Ken reminds us of a very important lesson—that capitalism does work. 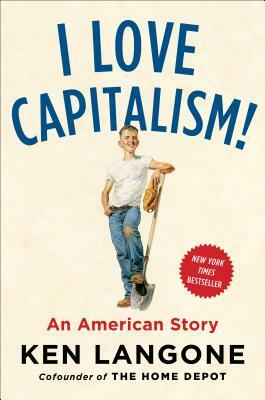 An authentic, up-by-the-bootstraps story by a shining example of the American dream.” —Jamie Dimon, Chairman and CEO, JPMorgan Chase & Co.
“Ken gives new meaning to capitalism for those who have equated it with greed. Recommended reading for young people who underestimate themselves and have lost hope.” —Bonnie Hill, Cofounder, Icon Blue, Inc.